Garden City, New York, USA. March 9, 2019. 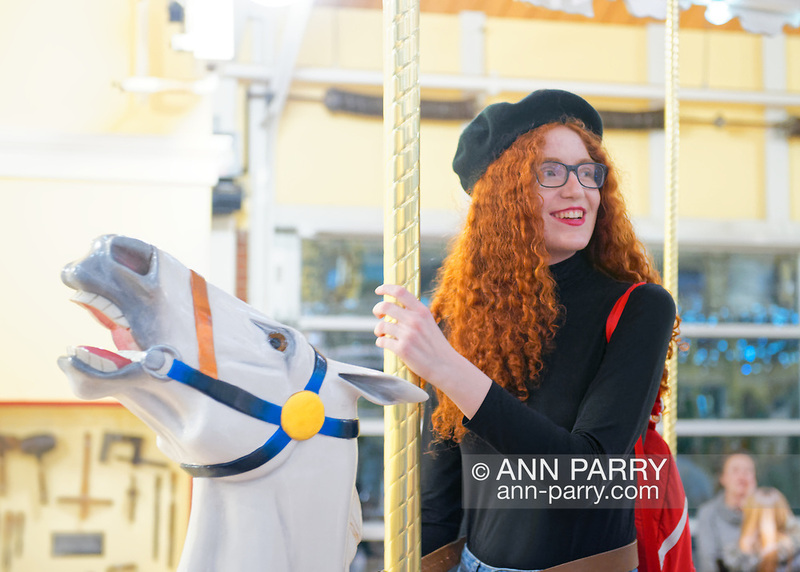 CAYLA KEMPF, of Maspeth, Queens, is riding carousel horse during Unveiling Ceremony of Nunley's Carousel mural. The Kempf family is related to a silent partner of the carousel's original owners, the Murphy Brothers of Murphy's Carousel Company. Event was held at historic Nunley's Carousel in its Pavilion on Museum Row on Long Island.